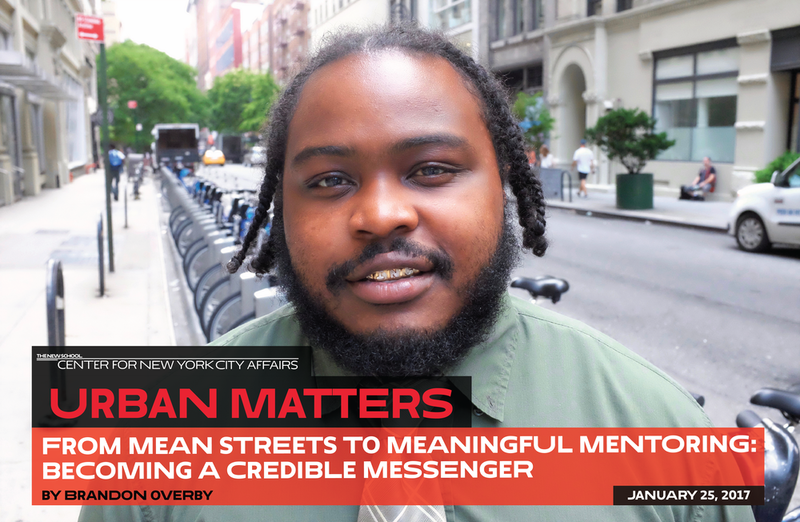 Across the city, social service agencies are increasingly employing staff who’ve themselves had run-ins with the law as “Credible Messengers” to other court-involved youth. It’s a recognition of the powerful positive impact mentors who’ve had similar life experiences can have in changing young lives. To foster this important work, the Center for New York City Affairs is pleased to announce the launch of the Institute for Transformative Mentoring (ITM). ITM is a training program focused on the professional and personal development of such Credible Messengers. It’s a semester-long course, developed with Credible Messengers and the help of training and education experts and foundation and non-profit leaders, that’s designed to enhance the practical skills of Credible Messengers and also further the healing of their own lives. ITM will support the work of this unique and growing workforce. The City administration has initiated reforms. But a growing number of community groups, advocates and elected representatives say that piecemeal changes are not enough. Their cry is getting louder: Shut Rikers Down. Neil Barsky, founder and chairman, The Marshall Project; Elizabeth Glazer, director, Mayor's Office of Criminal Justice; Martin Horn, executive director, NYS Sentencing Commission; Khary Lazarre-White, executive director & co-founder, The Brotherhood/Sister Sol; Ann-Marie Louison, co-director of adult behavioral health programs, CASES; Glenn E. Martin, founder and president, JustLeadershipUSA; Charles Nuñez, community advocate, Youth Represent; Carmen Perez, executive director, The Gathering for Justice and co-founder of Justice League NYC; Jeff Smith, assistant professor of politics and advocacy, Milano School for International Affairs, Management, and Urban Policy; Scott M. Stringer, comptroller, City of New York; Moderated by Errol Louis, political anchor, NY1 News and host, "Inside City Hall"
“You’ll be back, sh*tbird.” If I heard it once during my nearly year-long incarceration for federal election law violations, I heard it a dozen times. It’s what correctional officers (COs) told prisoners nearing their release date, especially those who had “slick mouths” or who otherwise created problems. “Jackasses like you are how I know I’ll always have a job,” one officer frequently said – his way of reminding us that not only did he expect us to return, but his livelihood depended on it. The fall from politico to prisoner isn't necessarily long, Jeff Smith—a former Missouri State Senator—learned, but the landing is a hard one. Smith saw the power of millions of inmates harnessed as a source of renewable energy for America's prison-industrial complex, a system that exploits racial tension and bias, building better criminals instead of better citizens. In Mr. Smith Goes to Prison, he traces the cracks in America's prison walls, exposing the shortcomings of a race-based cycle of poverty and crime that sets inmates up to fail. 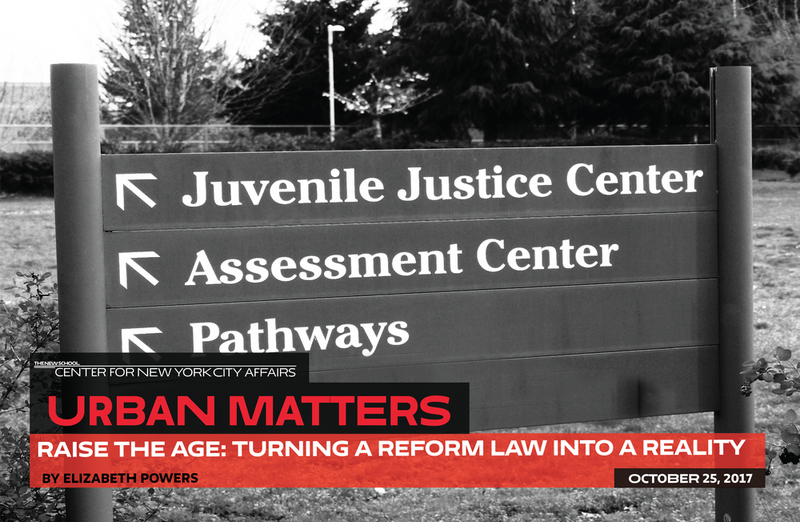 In late 2012, New York City launched one of the most ambitious juvenile justice reforms in the nation: Rather than sending kids who commit low-level offenses to Upstate lockups plagued by histories of abuse and failure, the city opened its own network of small, secure group homes within the five boroughs and nearby suburbs. In this ongoing investigation, we look at the success and challenges of the "Close to Home" reform: Is the program living up to its promise? Are New York City kids better off? Read our latest stories for a look at Close to Home programs and the young people who spend time in them.